Get a customized guitar path to make real progress every day and enjoy a lifelong passion that you’ll love to share with friends and family. Bite-sized lessons take minutes to watch. So you can go at your own pace and watch them again and again. You’ll never have to worry about missing a lesson or forgetting what you’ve learned. 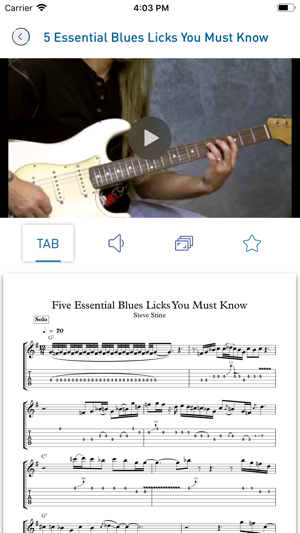 • Learn licks in the style of your favorite guitar players like Slash, B.B. King and other legends. 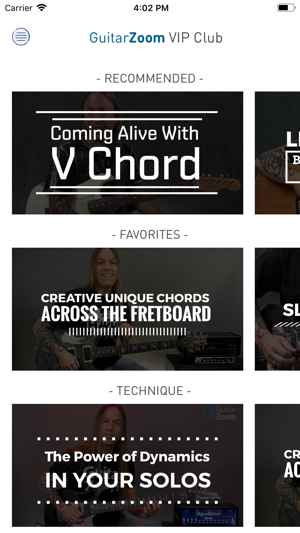 Start your free 14-day VIP trial and get instant access to 150+ lessons and 20% OFF all Steve Stine and GuitarZoom courses. 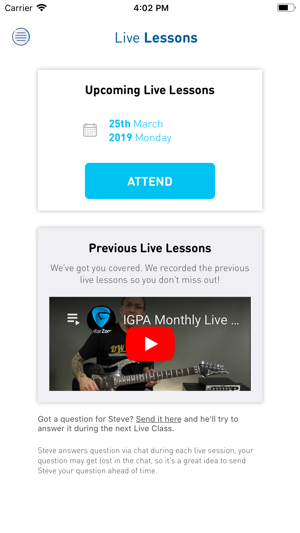 While you have an active subscription to VIP Membership you'll have full access to all lessons plus new ones every month. 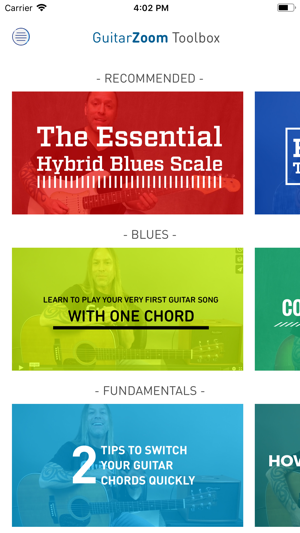 You also get access to Live Lessons by Steve Stine. After the 14 day free trial this subscription automatically renews for $22.99 per month unless it is canceled at least 24 hours before the end of the trial period. Your Apple ID will be charged renewal within 24 hours before the end of the trial period. You can manage and cancel your subscription by going to your App Store account settings after purchase.